You have a Razer keyboard, mouse, headset or other peripherals. When you connect it to your computer, Razer Synapse could not detect the mouse, keyboard or headset you’ve just plugged in. Here’s what you can do fix the Razer Synapse not working or not detecting keyboard, mouse or headset problem in Windows 10 desktop or laptop computer. If you’re using Razer Synapse 3 instead of Razer Synapse 2, as the software is still in beta and testing phase, there are still a lot of known bugs with it. For example, there are a lot of cases reported in the Razer forum regarding Razer synapse 3 not working and could not detect some mouse and keyboards when they are connected. For now, it’s recommended that you download and stick to Razer Synapse 2 until Razer Synapse 3 is officially stable and out of beta phase. Razer Synapse 2 should be able to detect all Razer devices and automatically install drivers for them. The first thing to try is to connect your device to a different USB or audio ports. Re-plug the device and try to run Razer Synapse 2 again. Some faulty or outdated ports such as USB 1.0 ports in some old computers will have problem detecting your keyboard and mouse. For a more comprehensive solution, try the steps below for clean install of the device drivers and Razer Synapse. Navigate to Apps, then Apps & Features. 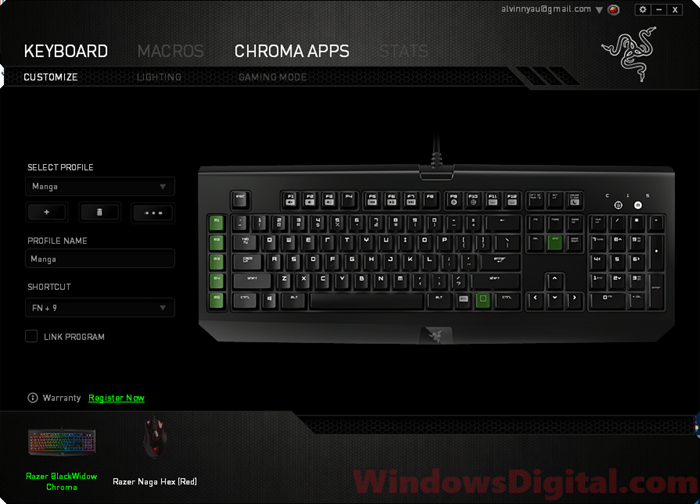 From the list of apps, select Razer Synapse. Click on the Uninstall button to uninstall Razer Synapse. In File Explorer, delete the folders (if still exist) in C:\Program Files (x86)\Razer and C:\ProgramData\Razer. Make sure you have the show hidden files option enabled to view hidden files that may be in these folders. You can enable show hidden files and folders by going to View, then enable the Hidden items option. Next, go to start menu or Cortana to search for and open Device Manager. Expand the Keyboard, or Mice and other pointing devices, and then right-click on the problem device. Select Uninstall device to uninstall its driver. Select delete drivers when uninstalling. If Razer Synapse not detecting any device, uninstall all Razer devices you have from Device Manager. Temporary turn off all your antivirus or firewall programs. Download the latest Razer Synapse 2 installer from Razer website. Do not use downloads from elsewhere other than Razer official website. Install Razer Synapse 2 and open it. It should now be able to detect your mouse, keyboard, headset or Firefly again. By uninstalling your problem keyboard, mouse or other device’s driver, it allows Windows and Razer Synapse to detect the device again as if it is a brand new device. Doing this should fix the Razer Synapse not working and not detecting keyboard, mouse or headset issue in Windows 10. If you haven’t not been running Windows Update for a long time, try to run Windows Update now to see if it fixes the Razer Synapse not working, not opening or not showing devices issue. If Razer Synapse is still not working or not detecting your device, it could be broken. Contact Razer support for your issue and in some cases you can get a warranty replacement or a refund if it’s newly bought. You may also like: Keyboard or Mouse Not Working After Windows 10 Update. Why is there no driver download from Razer website? This is exactly the reason Razer Synapse being a cloud based driver software. Razer Synapse is made to automatically detect your devices and install the right driver for them. It will also update the drivers automatically whenever a new version is released. 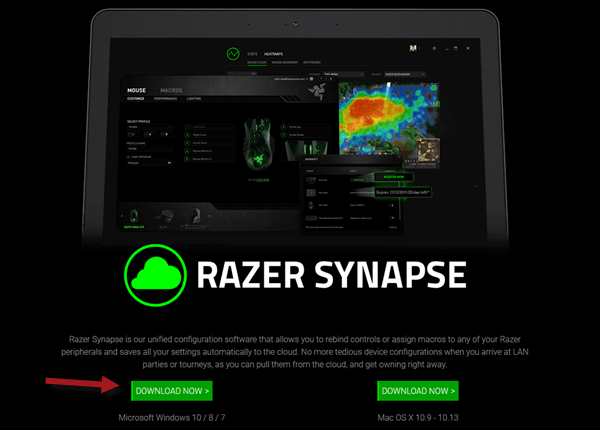 So, to update Razer devices drivers, you would only need to install Razer Synapse and allow it to update the necessary drivers for you. 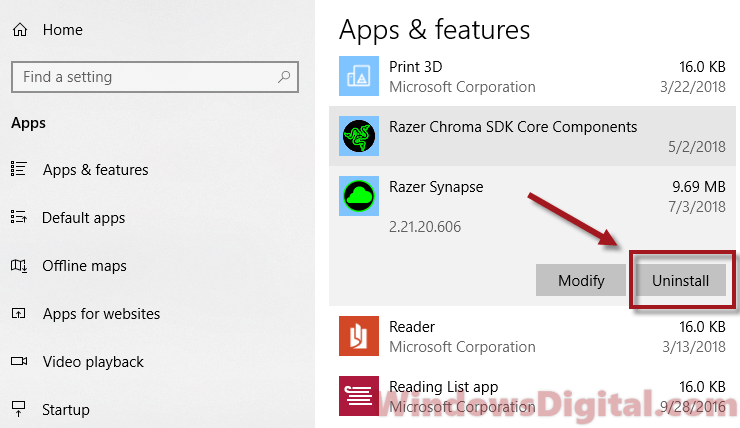 Description for sharing: Use this fix if Razer Synapse not working or not detecting keyboard, mouse, headset or other device in Windows 10, when using Razer Synapse 3.